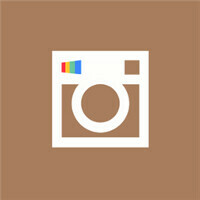 As you know, Instagram has not produced a version of its picture-sharing social network for Windows Phone. Over the last year, we've written about a number of different apps available for the platform that provide users with the Instagram experience. But now Instagram has added its new video feature. Is there an app for Windows Phone users that will allow them to post 15 second videos? Instance, formerly named Itsdagram, is considered to be one of the better Instagram knockoffs available for Windows Phone users and will be adding support for uploading videos soon. But for now, WPGram will offer Windows Phone users the ability to view videos and pictures, add 'likes' and post comments. The only thing it doesn't do is upload your pictures or videos. The app will cost you all of 99 cents and is compatible with Windows Phone 7.5 and Windows Phone 8 flavored models. It's good that WP has a good selection of substitute apps.